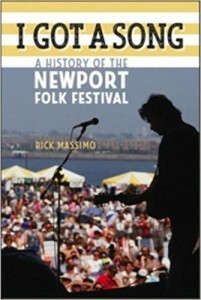 The Newport Folk Festival is arguably one of the most important American music festivals ever. Founder George Wein, with the help and guidance of many notable figures, including legends Pete Seeger and Alan Lomax, created more than just a festival full of money-spending crowds watching a gathering of musicians. They created a movement, a community, a forever legacy. Though everything has changed since its inaugural year in 1959, the initial vision of the Newport Folk Festival still shines through. 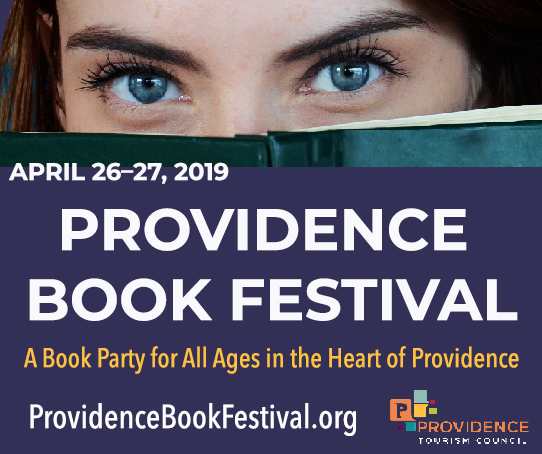 In his book I Got a Song, Former Providence Journal writer Rick Massimo gives an in-depth history of the event. Massimo puts his journalism background to good use, crafting a well-researched book. His 24 pages of notes and two-and-a-half-page bibliography show just how much time and passion Massimo put into I Got a Song. After meeting with Wein for a day back in 2009 to write an article about the 50th anniversary for The Providence Journal, Massimo realized that this topic deserved more than a few articles. About eight years later, this comprehensive book was released. While the artists, the behind-the-scenes moments and the music are a main focus, Massimo brings many other aspects of the festival to light. He interviews concertgoers to get an observer’s take on the festival and what it meant to them. The times and their impact on the music being played (going from 1959-2015) are underlined in every chapter. The biggest underlying theme is challenge of defining folk music. It is directly discussed in several chapters and subtly raised in others. Most contributors give their opinions, with some discussing it at length. Defining folk music was a big topic of discussion among the festival’s organizers throughout the years, as it had a direct impact on the artists invited to perform, whether it be someone they found while searching through unknown America or the wildly popular The Decemberists. Folk music is never truly defined, which is exactly how it should be, but it’s fun reading so many takes on it. Dylan going electric in 1965 ultimately affected every Newport Folk Festival that followed. A lot of words are dedicated to this moment, which may be one of the most important moments in American musical history. While mentioned in many other parts of the book, Massimo dedicates an entire chapter (“A Limited Amount of Time”) to the 15 minutes that changed everything. It is the best chapter in the book, as Massimo tells the story using “taped evidence, the recollections of participants and audience members, both in the moment and decades later.” These few sentence snippets, sprinkled with lyrics from the three electric songs Dylan played that night, told the story with many contradictions, depending on who was telling the story. Exactly what happened that night is never truly identified, which makes the legend even greater. I Got a Song is a great read about an historically and culturally important event that has helped shape music and (to a much lesser extent) the country. The research is thorough and it’s written like an in-depth newspaper article. More importantly, it had me listening to the artists who have played the festival throughout the years. This book will be particularly interesting to anyone attending the Newport Folk Festival because it will give the experience a much deeper meaning.